Thanks goodness. Coco was better this morning! We are also happy to go back to our daily smoothies and eating in-season vegetables from Farm Fresh to You. 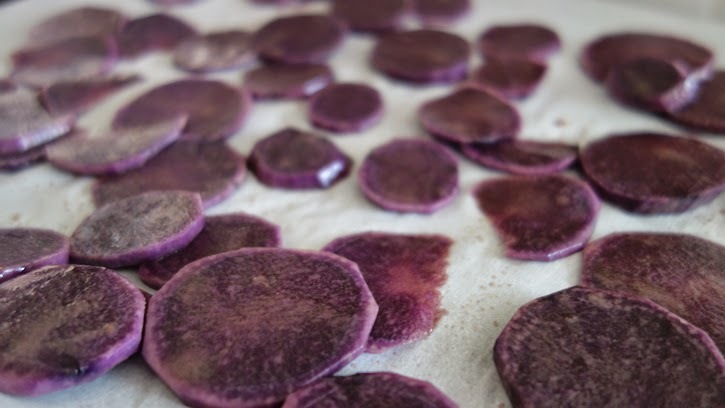 I mean... look at these colors on potatoes! I love that holidays (and cold and flu) are definitely in-season by now... but also the timely harvest from the nature. p.s. few things I am totally in love this week. Hopewell Maker's Apron for a grown-up and kids! - because I love how my mom wears her apron at home.